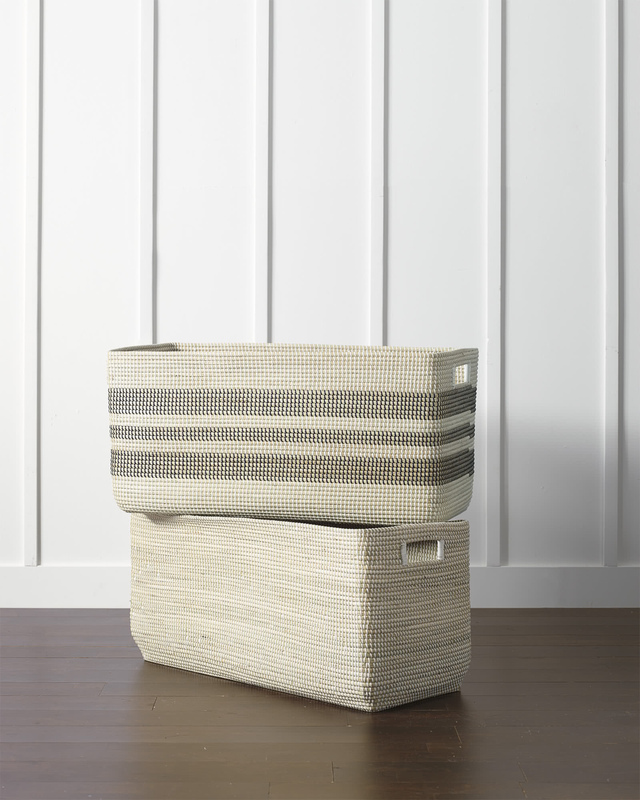 Rectangular La Jolla BasketRectangular La Jolla Basket, White alt="Rectangular La Jolla Basket, White"
Print The easiest way to get organized in style, these handwoven baskets feature strips of recycled plastic wrapped around coils of seagrass for a beachy, natural look. 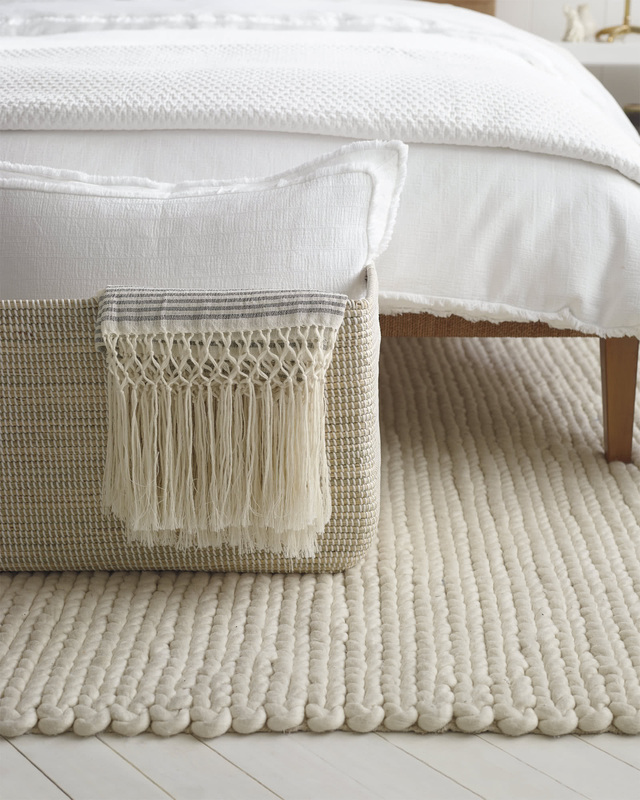 Ideal for towels and toys, they’re also perfect at the end of the bed to store extra pillows and layers. Multiple colors, patterns and shapes create fun mix-and-match opportunities. 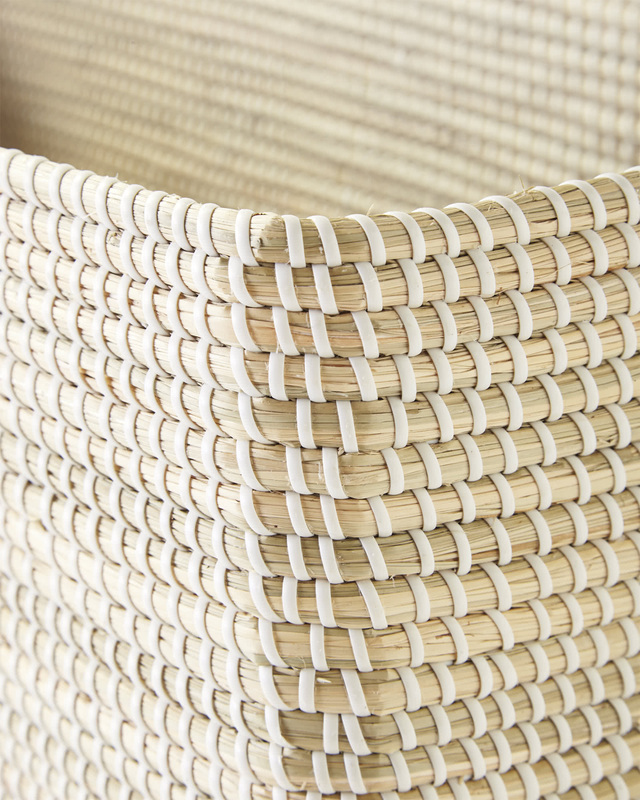 And because they’re made by hand, no two are exactly alike. 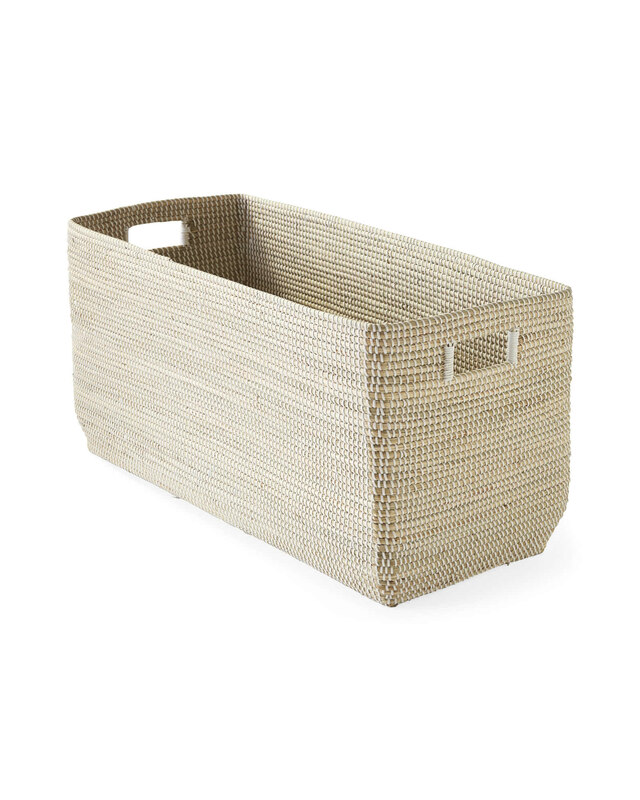 Handwoven seagrass and recycled plastic. 32"L x 14"W x 16"H.
This item ships ground and arrives within 7-10 business days of order receipt.